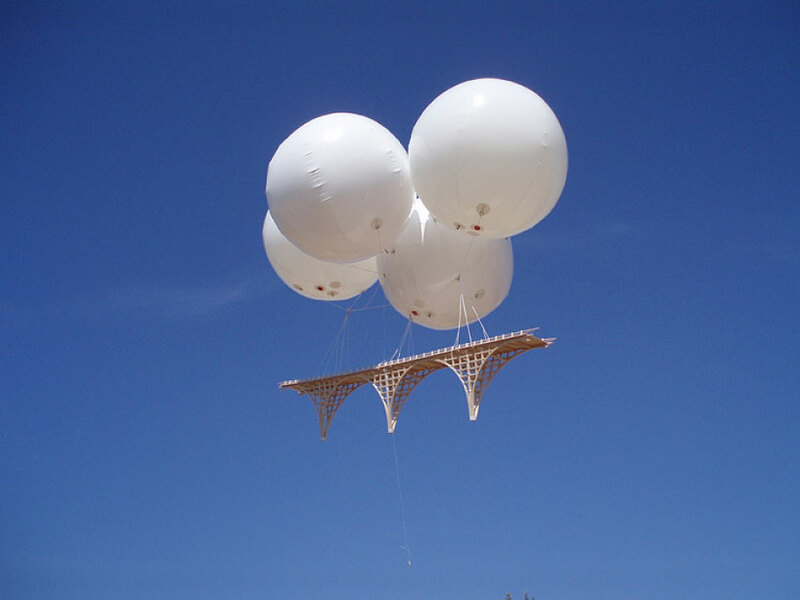 Let’s hope no one shoots at the balloons while you’re crossing… Reminds me a bit of Laputa Castle in the Sky. 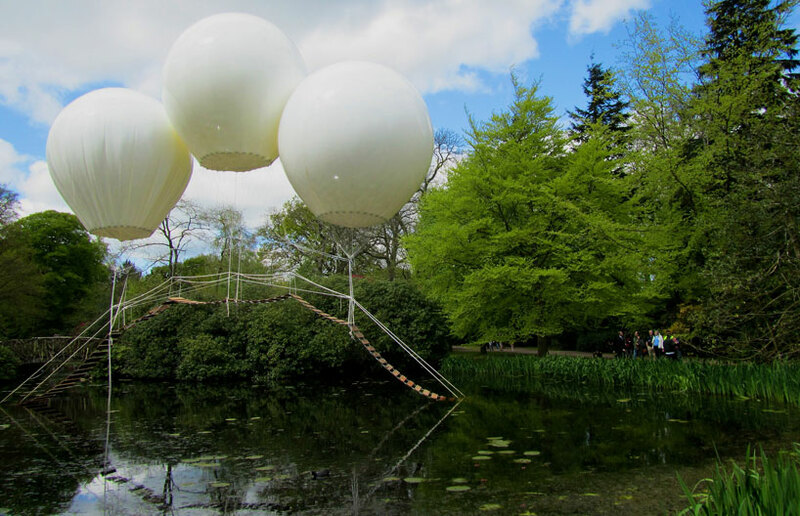 This entry was posted in Design and tagged balloon bridge, bridge in the sky, floating bridge, pont dans le ciel, suspended bridge by nuitdepluie. Bookmark the permalink.